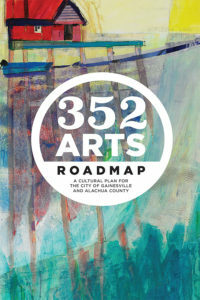 The City of Gainesville Parks, Recreation and Cultural Affairs Department (PRCA), Alachua County and State of Florida, with the guidance of Mataraza Consulting, committed their leadership, energy and financial resources to lead the 352ArtsRoadmap planning process. Over the next ten years, plan leadership will coordinate, guide, organize, measure, and report progress. Together with the continued involvement of key stakeholders and our community, they will be responsible for the cultural plan’s success. Culture will be central to our environmental, economic, and social well-being. We envision a future in which there are more opportunities to create, participate in, learn from, and enjoy art, history and cultural expression county–wide. For more profiles of 352arts, visit our YouTube Channel. Funded in part by the Florida Department of State Division of Cultural Affairs.